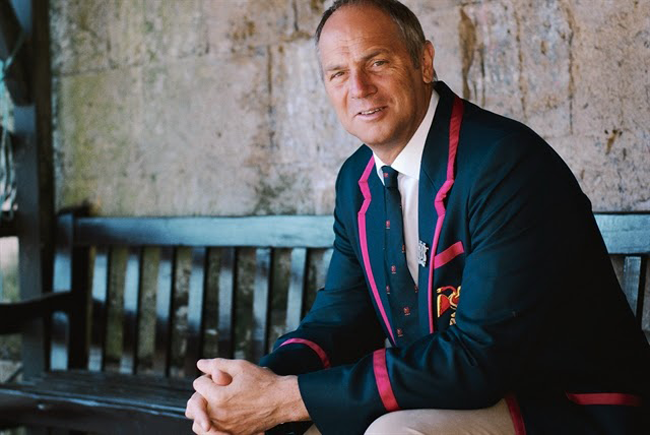 The history of the blazer is a contentious subject, but it can convincingly be traced back to the scarlet jackets worn, since 1825, by Cambridge University’s Lady Margaret Boat Club. Anyone who thinks that soft flannel blazers are old-fashioned should see Jack Carlson’s book Rowing Blazers, which is made up of new shots of men and women from all over the world wearing blazers from schools, universities, clubs and teams. The garment remains entirely relevant this year and if it has a spiritual home it’s the Henley Regatta, where many spectators, as well as competitors, wear them. 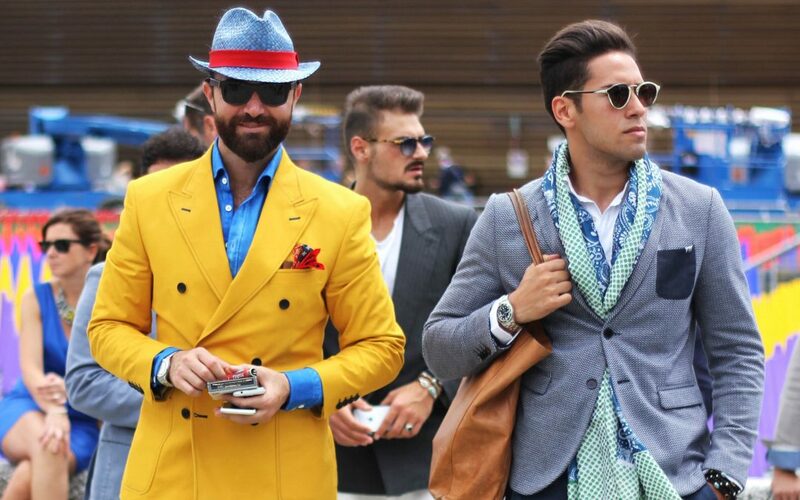 The good news is that you don’t need to belong to a rowing club to wear a regatta-style blazer. How brightly you choose to blaze (hence the name) is up to you, with possible designs ranging from broad, eye-catching cream and pink stripes, to the simplicity of a solid navy flannel with matching bound edges – bound edges are a popular detail on self-coloured blazers, while the striped ones don’t need such embellishment. Patch pockets are popular, and the jackets are almost always single-breasted. If you are going to pull on a flannel blazer then get ahead of the other men on the riverbank by wearing it with a tailored pair of cream flannel trousers, rather than cotton chinos. Ideally footwear will be a pair of dirty bucks (rubber soled derbies in off-white suede), and the shirt and tie will complement the colours in the blazer. Finish the look with either a Panama hat, or a colourful Swaine Adeney Brigg golf umbrella depending on the weather.